Samuel and Jacob Kart Racing: Power Lap Board for Jacob! Power Lap Board for Jacob! 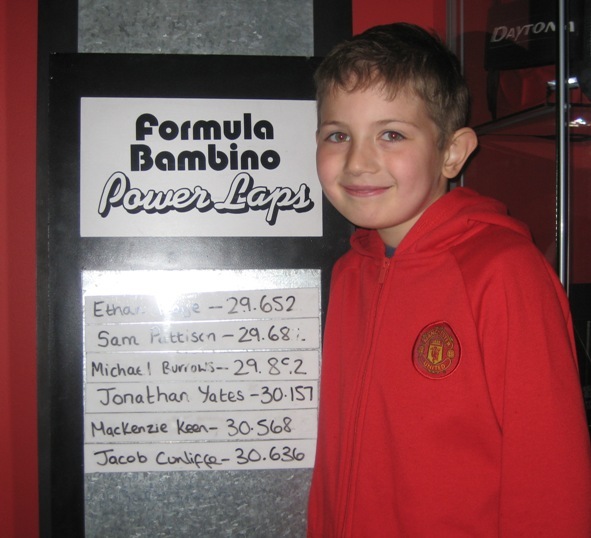 Here I am with my Formula Bambino Power Lap time from April's Formula Bambino Round - 30.636 seconds. It's not my fastest ever time but it is my fastest in the Championship!